Visitors passing near Mostyn on the North Wales coast will often catch a glimpse of a large ship in a most extraorinary and unexpected place. 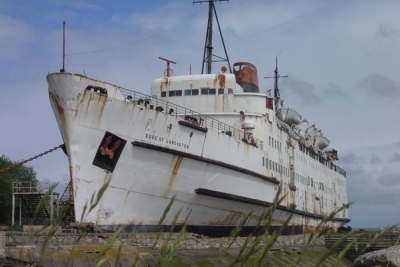 Those who stop out curiosity will find the Duke of Lancaster. The Duke of Lancaster was built at Harland & Wolff in Belfast in 1956. 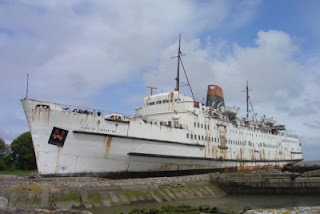 She operated until 1978 as a passenger ship and Sealink passenger ferry, prior to being beached where she is now in Mostyn Dock on the River Dee. Once she had been beached the hull was sealed in concrete and it was every intention of her new owners, Lancaster based Empirewise Ltd to use the ship as a leisure centre or fun ship. There was also a plan to convert her into a 300 room hotel. 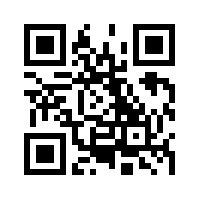 Whilst she did operate as a fun ship for a short length of time local sources indicate that she was closed as a leisure centre due to restricted access for fire engines thus causing a potential health and safety issue in the event of fire. Any visitor today will be saddened to see the ship in this decaying state, struggling against the elements and rusting at her last resting post. The ship is used a a warehouse at present and much of the bridge is reputed to be intact as are many of the original ships fittings and equipment. The future of this ship, wrangles with an unhelpful local council, and the amount of money needed to put her back into some sort of use appears to have sealed her fate.